Having a contact centre where there is a strong culture of learning and development is not only good for employees, it’s also good for business. Yet, making the business case for investment in learning can be challenging, as it impacts on budgets, resource planning and technology. Here are eight benefits of embracing a modern culture of learning that you can use with stakeholders. A culture of learning empowers learners, as well as improving their performance. 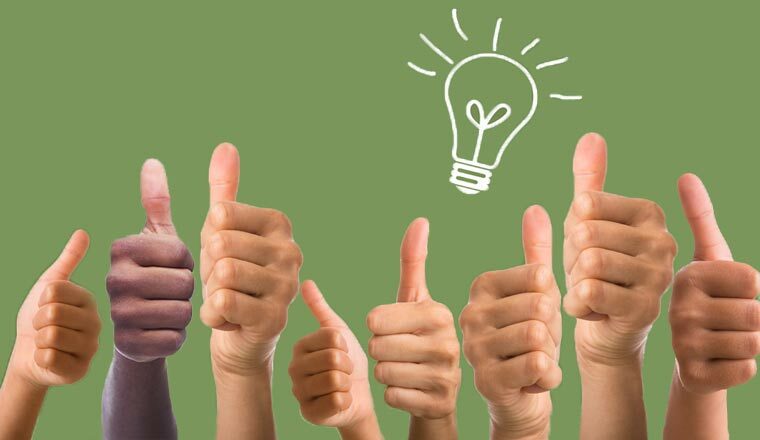 Learning programmes that are bite-sized and incorporate elements of competition or gamification have been shown to have very positive impacts on employee performance because they get recognition for their efforts. Indeed, in a recent study of blended learning at Axa, they reported that top-rated calls doubled over three months and there was a 145% increase in positive customer comments and a 29% drop in informal complaints. This ‘blended’ approach used bite-sized training, practice and reflection and coaching as well as topic-driven ‘learner hubs’ where learners gathered together to discuss their success and challenges. One of the challenges in creating a customer-centric business is when organisations are departmentalised and people only operate in their area of expertise. A culture of learning, however, facilitates learning across departments socially as well as formally and helps to improve employee engagement and confidence by creating a better flow of information. Advisors become more knowledgeable and compliant and are able to serve customers better. Meanwhile, back-office learners also gain customer insights from the expertise that contact centre employees provide. 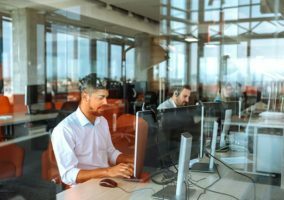 With advances in artificial intelligence (AI), there will be greater opportunities for contact centre employees to hone their skills, so that they can handle the more complex queries. But they will only see this as a positive if there is a strong culture of learning. If not, they may see AI as a threat to their job security and the increased complexity as stressful. Learning requires effort, and since modern attention spans are also shorter, it is vital that a strong culture of learning is already encouraged, so that your frontline teams embrace learning and see it as a worthwhile opportunity. Contact centres in themselves provide many skills that can enhance future career prospects, and a culture of learning helps to facilitate this. Employees no longer view the skills they are learning just as way to improve themselves today, they also can see it helps them plan for future career prospects. A strong learning culture will have clear career maps and supplement the journey with the right training and learning opportunities at the right times. This results in your competent employees staying with you for longer and moving on through the business having learned about your customers, products and services from the grass roots. Managers have the challenging task of maintaining standards in departments and ensuring that employees are generating value for the business. It’s even harder to make improvements when employees resist learning. A culture of learning helps managers to develop their teams without it becoming a big issue. Learning is no longer undertaken because you don’t know how to do something or you’re doing something wrong. Learning is simply how things are improved in the company, and it gets seen more as an opportunity for growth. Managers have to get involved in day-to-day learning reinforcement and coaching. They will more readily spot learning needs and be better equipped to contribute to tailored learning production with the Learning & Development Business Partner. By utilising learning opportunities before Day One with digital “pre-boarding”, for example, learners are ‘warmed up’ to the basic information and culture before they start and can hit the ground running. Effective use of digital learning is more apparent in a learning culture and this can ensure greater consistency and effectiveness during the induction period. We are then creating a ‘learner-centric’ approach where the new starter feels more responsible for their own learning throughout their career rather than being spoon-fed. People that are open to learning are generally also more open to change as they feel more confident in their ability to acquire new knowledge and skills. Agility is vital in order to be competitive, and having an agile learning approach delivers employees that embrace opportunities from day one. Starting a new job is made less daunting when colleagues, as well as managers, openly share information and help a new starter get settled in. It also instils the confidence to ask questions if they are unsure of something and results in fewer issues later on when changes are made. Career development is a big factor when people are deciding whether to apply for a role. If your organisation is one that actively promotes learning and offers opportunities for training then it’s more likely to attract top talent. More importantly, it’s also more likely to be able to retain that talent by offering further training, particularly if mapped to qualifications. In this way, learning can be viewed as an employee benefit similar to annual leave or health insurance benefits. Along with agility, innovation is cited as one of the key factors for financial success and long-term survival in today’s business environment. Innovation happens when ideas are encouraged and consistent learning is part of the company culture. This not only strengthens employee engagement, it’s also usually the one thing that contributes significantly to the business bottom line. Businesses that innovate often become market leaders and have loyal employees that love to work there. The culture of learning should not be underestimated as it is one of the most valuable contributing factors to business success. Can you think of any other benefits of building a culture of learning in the contact centre? Thanks to Carolyn Blunt at Ember Real Results. Carolyn is a specialist trainer, call centre expert, author and industry speaker.